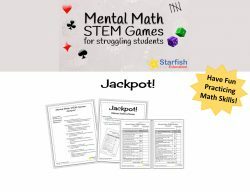 Our featured game in the Mental Math STEM Games Dice Bundle, is a fun, number sense game called Jackpot! Based on the game Yahtzee, where players work to roll different combinations, students roll to do the same…all while sharpening their math skills. Using 4 six-sided dice, students work to roll evens, odds, composites and build other number combinations. Recognizing that there is a wide variety of math abilities in one classroom, I created two different score cards. One is designed for younger or lower-ability students that uses math terminology to ask students to perform addition and subtraction functions. 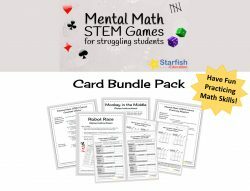 For older or higher ability students, I designed a different score card with math terminology to perform all four operations. 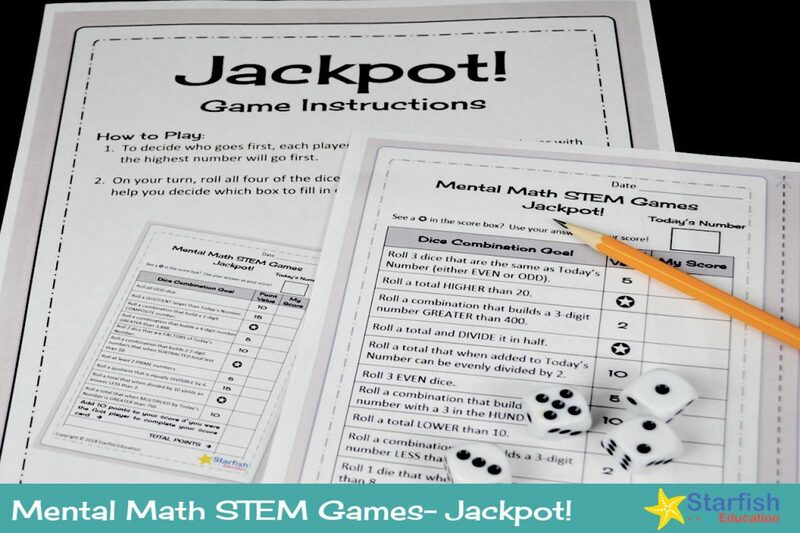 Both half-page score cards are included in this product, perfect for students’ Interactive STEM Notebooks. 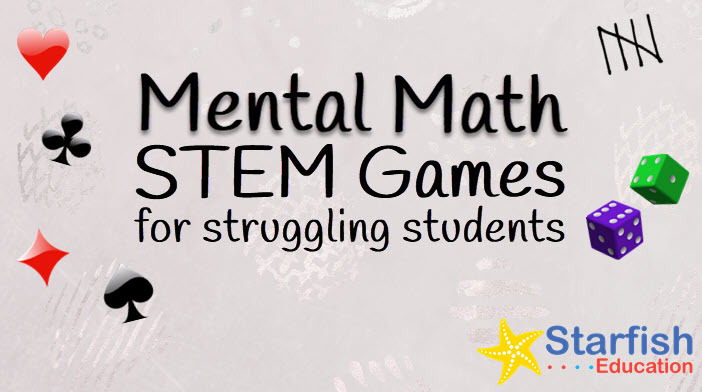 Also included are game play instructions, standards alignment (CCSS Math) and variations for making the game easier or more rigorous. Just provide 4 dice (Did I mention you can download these dice for free? ), earn the highest score and win the Jackpot! 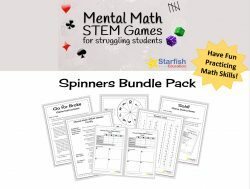 Get the Mental Math STEM Games- Jackpot!